It is well known that investment into maintenance and servicing of roads in the West is several times that of the eastern countries and the nations of the former USSR. For example, a nation with the best and most expensive roads, Germany, spends around US$ 3.9 million per 1 kilometer of highway, which in Russia the cost of making the same road time is about US$ 1.3 million, and US$ 1.12 million in China. Where does the wide difference come from, if road construction materials compliant with the western standards are all purchased in the world market? 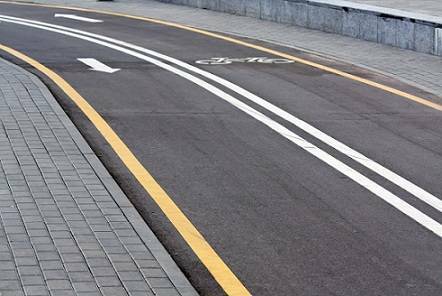 Beside the fact that Germany, being the example of construction quality regulations, makes multilayered road pavement with support, drain, damping and super-strong asphalt, the country uses only the highest quality of the best grades. E.g. bitumen emulsions, a material which reinforces each of the possible layers of the new road and increases the quality of the product has not only be known but used for 70 years. Bitumen emulsion, however, may be compared to bitumen, which is sometimes referred to as tar, as blended fuel with source material. Bitumen is not soluble in water. However, in the process of mixing it with water with addition of certain stabilizers, acids, solvents, emulsifiers and heat, the result is a substance many times more durable, reliable and reasonable to use, that the original. Bitumen emulsion is better not only due to high efficiency and wide scope of application, but also due to direct savings. First, coming back to paving bitumen emulsions, it should be noted that the whole process of building quality roads is based on the use of bitumen blends, not just heated tar. Each layer of the road is treated by bitumen emulsions. They are used in the process of asphalt laying, added to gravel and aggregate, used for preparation of tack coat, saturation of asphalt top layer, road repairs etc. Apart from their use in road construction, bitumen emulsions are used to protect buildings from water, as well as for roofing construction and repairs. UVB type bitumen emulsion preparation systems with production capacity ranging from 1 to 10 cubic meter per hour are in demand in the international market of advanced machinery. This plants are designed for production of various types of bitumen emulsions: anionic, which are mixed with materials of alkaline nature, and the versatile cationic emulsions which can interact both with acids and alkalis. The process of bitumen emulsion production is a complicated and innovative process. There are several differences from the simple neat bitumen, which characterize emulsions as a better and more efficient material. Here are some of the advantages and economic opportunities when using bitumen emulsions in construction. The first and the most obvious difference is the need to heat bitumen before operation, whereas bitumen emulsion is used without prior heating, which saves on heating equipment maintenance costs. Another advantage is the presence of water blended with bitumen. Absence of organic solvents reduces the risk of fire in the closed premises of construction companies and the toxic hazard for the people working with emulsions in poorly ventilated rooms. The presence of water also promotes better adhesion of asphalt pavement. When water from the bitumen emulsion saturates the asphalt and then evaporates, layers become tightly connected, much tighter than with tar alone. Water based materials are recognized as more environmentally friendly by the international expert institutions. The use of such materials reduces the emission of hazardous substances into the atmosphere and consequently eliminates the risk of environmental violations and the resulting fines for the companies. In this article the question is posed: what it is that makes our roads expensive. It seems, the raw materials and substances which local companies use for road construction, are compliant with the international quality standards. Our manufacturers of construction equipment, material and even plant for production of protective materials, such as bitumen emulsions, offer advanced products on par and in many cases better than the imported ones. Therefore, if possible, there should be savings on construction materials, development of the existing components for better road quality, use of own machinery for production of such materials, which are most compliant with the international standards and individual calculation for a given project.